In this section we are going to explain you what Chart Patterns are and how you can use it in trading. A chart pattern is a pattern that comes back a lot in charts and what is does is that it signal to traders that the price of a security is likely to move in one direction when the pattern is complete. There are two types of pattern: reversal and continuation. A reversal pattern tells us that a trend will reverse when a pattern is about to complete. And a continuation pattern indicates that the trend will continue upon the completion of a pattern. Now that we know this trading becomes easier. The three most occurred patterns are the Triangles, Flags and Channels. In this pattern the prices are formed into a Triangle form. In this triangle form prices are squeezed between two levels until it finally breaks out. There are three kinds of triangles. Which are: Ascending Triangle, Descending Triangle and the Symmetrical Triangle. In the Ascending Triangle form the price movement of a security makes higher lows while the highs stay at the same level. And then at some point the security will break through it’s resistance level. By spotting this Ascending Triangle you can make money in trading by taking in a position or buy call options. In the Descending Triangle the price movement of a security makes lower highs while the lows stay at the same level. And then at some point the price will go down and break it’s support level. By spotting this Descending Triangle you can make money in trading by taking in a short position or buy put options. In the Symmetrical Triangle form the price movement of a security is being squeezed between two levels and at some point it will eventually break out with force. Most of the time the break out will go in the direction of the current trend. After a strong move, prices of a security usually need a resting period. This resting period usually occurs in a rectangle form. This form is called a flag. In a bullish flag the price movement of a security goes up and then retraces back in a parallel format. After making the retracement the prices goes up again. In this typical situation it means that buyers were waiting for prices to go down so that they can buy. In a bearish flag the price movement of a security goes down and then retraces back in a parallel format. After making the retracement the prices goes down again. In this typical situation it means that sellers were waiting for the prices to go up a bit so that they can sell again. In this section you have learned what patterns are and how to make use of them in trading. The more you understand of how the charts work, the bigger chance you will have to trade more successfully. A trend line is a diagonal line that’s been drawn between two or more price pivot points. Commonly trend lines are used to judge entry and exit investment timing when trading securities. The trend line can also be referred as the Dutch line as it was first used in Holland. A trend line is a straight line for the price movement of a security. There two kinds of trend lines that we used at www.101trading.co.uk, those are the Support trend line and the resistance line. A support trend line is formed when a securities price decreases and then rebounds at a price point that seems to align with at least two previous support price points. A resistance trend line is formed when the price of securities increases and then bounces back at a price point that seems to align with at least two previous resistance price points. Trend line is really easy and simple to draw. To establish a trend line all you need is historical data, which is presented in the format of a chart. The next step that you need to do is connecting the price points. In the old days trend lines were been drawn by hand on paper charts, but it is now more common to use charting software that enables trend lines to be drawn on computer based charts. There are a few charting software that will automatically generate trend lines. But most traders prefer to draw their own trend lines. When establishing trend lines it is important to choose a chart based on a price interval period that match with your trading strategy. For example if you are a day trader or short-term trader don’t use monthly charts but use hourly charts or one-minute charts. Most short-term traders tend to use charts based on interval periods, such as 1 minute (which means that the price of the security is plotted on the chart every 1 minute). If you are long-term trader then it’s better to use daily, weekly or even monthly charts. There are even charts that can be viewed in terms of years. We at www.101trading.co.uk use those kinds of charts if we are implying a buy and hold strategy in shares of companies that we believe in. We also use it for trading CFDs. There is one more thing that you should know about trend lines. Trend lines are often used with price charts, however they can also be used with a range of technical analysis charts such as the MACD and the RSI. Trend lines can be used to identify positive or a negative trending chart. 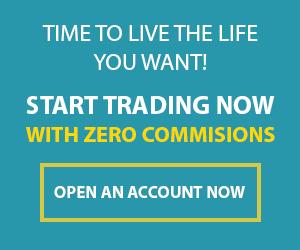 So how can you make money from trading by using these charts? The first thing that you should is drawing a support trend line and a resistance trend line. If a stock or any other security price is moving between support and resistance trend lines, then a basic investment strategy that is used by many traders, is to buy a stock/security at the pivot price point that just have hit support trend line. Don’t buy or invest when it’s about the to hit the support trend line. The support trend line has to be confirmed first. Otherwise you the chance is bigger for you to lose money. And when the stock/security price is about to hit the resistance trend line, then that is the moment for you to sell and take your profit. Don’t sell after it hit the resistance trend line because most of the time the price decrease so fast that you wont have the time to take your profit. When the resistance trend is confirmed, you can go short and make a profit when the prices are going down. You have learned what trend lines are and how you can draw them. With the basic understanding of trend line and the basic strategy, you now should be able to make a profit when you’re trading. You can now click here to open a demo account and start practicing the strategy that you have just learned. Price Action bars are one of the most important parts of the technical analysis. Those bars gives you a clear understanding of what was going at the moment in the markets at a specific time frame. The bars give you visual presentation about the “battle between buyers and sellers or supply and demand.” So basically this information is very vital for trading the markets. What does the OHLC bar stand for? The OHLC stands for Opening, High of the day, Low of the day and Close. When you look at an OHLC bar you might wonder what does it tell me? Lets say you are looking at an OHLC bar of a stock of company A. Open means the start of a time window where securities are trade with a beginning price. Close means the end of time window where the price of a security has stopped. Lets say the open price of the stock company A was $1 USD, Highest price of that time window is $2,20 USD, the lowest was $0,99 USD and the closing price is $2 USD. What does this information tells you? It shows you that the stock price of company A has increased by $1 USD in value on that specific time window. It also tells you what highest price was that investors have paid to get that stock and also the lowest price that investors have paid for the stock of company A. Now you know how the stock company A have performed in the market at that specific time window. 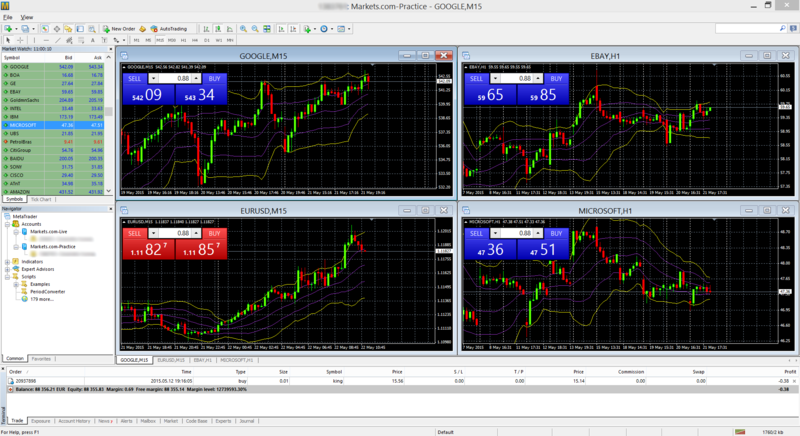 When you are in your account and open a chart, you will see that you can choose different time windows. For example you can choose a weekly time frame, daily time frame, 1-hour time frame and 4-hour time frame. So each time frame gives you the information of how the performance of a security has been. Has the security been profitable last week? Has it been profitable today? Has it been profitable since this morning? Was there a price increase in the last hour? Depending on your trading/investment style choose a time window of charts that fits you best. If you are a day trader, it can be good to look at bars with a time window of an hour. If you are monthly trader, use bars with a weekly time window. What kind of information does an OHLC bar gives you. You know there are at least 4 different time windows. If you have no questions, please go on and read about continuation bars and how that can help you to make money when trading. Technical analysis is a method for evaluating securities based on past market activity. Technical analists use this method usually to look for trends that they can start trading in. They believe that the past price movement and volume (the total amount of transaction) are good indicators for forecasting the future price movement. Why are people using technical analysis? People use technical analysis tools for many reasons. For example identifying trends for a short-term trade or for identifying a price movement and so on. We at 101trading use technical analysis mostly to decide when to buy and when to sell, when we are in for swing trades or short term trades and long term investments. When to use technical analysis? We at 101trading always use technical analysis and sometimes-fundamental analysis as well. Our recommendation is always use technical analysis before you enter a trade. How to use technical analysis? The technical analysis area has many tools that you can use on how to read the charts and make profit from it with your trading. It is impossible for us to cover all the tools. On this website we will explain only the tools that we use ourselves. But before you got to the tools page, it is handy to read and understand the basics of the charts first. Have fun with learning and making profits. If you have any questions about the technical analysis, please submit your questions in the comment bar and we will answer it as soon as possible.